Led by a band of billionaires, the school-reform movement has gained increasing momentum during the past decade, spreading its reach into urban communities across the country. But instead of truly transforming public schools, private funders want to restructure them. They insist running schools like a business is the solution. At stake is not only control over hundreds of billions of dollars in local, state and federal funding, but also the future of the next generation of schoolchildren. 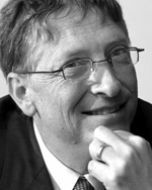 Using the Gates Foundation as his instrument, the Microsoft co-founder has channeled tens of millions of dollars into transforming large high schools through the schools-within-a-school model. Critics say boutique public schools tend to enroll (or “cream”) the best students while receiving more per-pupil funding than their large-school counterparts. Gates has also allocated large sums of money to help fuel the growth of charter schools. During the 2008 presidential election the Gates and Broad foundations teamed up to spend $24 million to influence public education policy. Their shared message: Expand charter schools and tie teacher pay to student performance on standardized tests. President Obama’s Secretary of Education, Arne Duncan, has tapped top Gates Foundation officers to be his chief of staff and to head the agency’s Office of Innovation and Improvement. Foundation officers are also spearheading the $4.35 billion Race to the Top program, which promises aid to cash-strapped states that eliminate caps on charter schools and agree to place even greater emphasis on standardized testing. 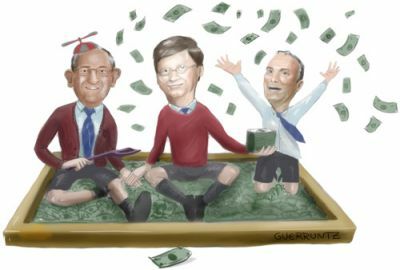 “It is not unfair to say that the Gates Foundation’s agenda has become the country’s agenda in education,” says Michael Petrilli of the Thomas B. Fordham Institute. A former professional basketball player and veteran of many pickup basketball games with Obama, the Harvard-educated Duncan has no formal experience as an educator. 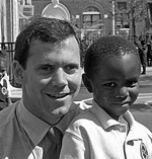 As CEO of the Chicago school system from 2001 to 2008, Duncan oversaw more than 60 school closings primarily in people of color neighborhoods while rapidly opening charter schools. The Gates Foundation funneled $63.2 million into the Chicago schools during Duncan’s tenure and now Duncan is taking the “Chicago model” nationwide with the help of top aides recruited from the Gates and Broad Foundations. The son of a hedge-fund billionaire who has donated $10 million to Mayor Bloomberg’s school projects since 2003, Spencer Robertson opened the PAVE Charter Academy in 2008 inside P.S. 15, a successful elementary school in Red Hook, Brooklyn. Tensions further escalated when the DOE recently announced that PAVE would be allowed to expand inside P.S. 15 over the next five years, even though Robertson has received $26 million from the DOE to build his own school. Robertson’s wife Sarah, the head of the board at Girls Prep Charter School, was at the center of a similar controversy when the school recently sought to expand inside public school facilities in the Lower East Side. Following Obama’s election, Shelton moved seamlessly from deputy director of education at the Gates Foundation to a post at the DOE as assistant deputy director overseeing a variety of grant programs that assist charter schools. 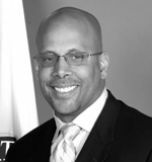 Operating at the nexus of the public, private and nonprofit sectors, Shelton previously worked at Knowledge Universe, where he launched, acquired and operated education-related businesses. Shelton’s former Gates Foundation colleague Margot Rogers now serves as Duncan’s chief of staff. The Walton Family Foundation of Wal-Mart is the single biggest investor in charter schools in the United States, giving a total of $150.3 million during 2007-08. In New York, the Walton group has provided $15 million in construction funding plus more than $1 million per year for operating costs in recent years to help the Brighter Choice charter school network establish eight new schools in Albany, according to the Albany Times Union. Meanwhile, Gov. David Paterson has received contributions totaling $55,900 from Christy Walton, as he pushes legislation to lift New York’s current statewide cap of 200 charter schools. 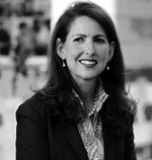 Moskowitz, a former Upper East Side councilmember with close ties to the Bloomberg administration, earns more than $300,000 annually for running a chain of four small charter schools in Harlem. Like Spencer Robertson, Moskowitz has sparked protests in the predominantly people-of-color community she operates in as her schools move into existing neighborhood schools. Last April, the Broad Foundation awarded Moskowitz’s Success Charter Network $1 million over two years to support its four existing Harlem Success schools and to help it open 40 new schools in the New York City area over the next 10 years. 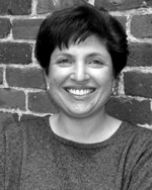 Joanne Weiss served as a director and chief operating officer for the New School Venture Fund from 1998 to 2008 before being appointed to head the Obama administration’s Race to the Top program. 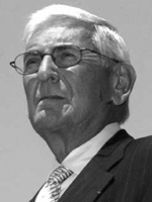 Using venture philanthropy largesse provided by Broad, Gates and other wealthy individuals, Weiss helped incubate networks of privately controlled charter schools and charter management organizations as well as organizations to mold new teachers and principals in the education reform movement’s technocratic image. 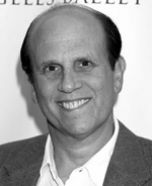 Michael Milken dominated Wall Street in the 1980s using junk bonds to fuel that decade’s merger mania before landing in federal prison for violating securities laws. Now, Milken has gone into the education business as chairman, co-founder and driving force behind Knowledge Universe, a multinational conglomerate that operates for-profit day-care centers and schools and makes interactive educational toys. 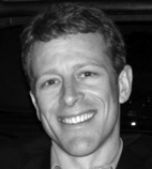 Ellison, CEO of Oracle, co-founded the company with Milken. Established by four New York-based hedge-fund millionaires active in the charter school movement — Whitney Tilson, Charles Ledley, John Petry and Ravanel Boykin Curry IV — this political action committee seeks to build and solidify support for corporate educationreform initiatives inside the Democratic Party, lest it be tempted to heed the concerns of teacher unions or other critics of running schools like a business. Sharpton began preaching the gospel of school reform in 2008 when he joined forces with New York Schools Chancellor Joel Klein to found the Educational Equality Project (EEP). Last fall, Sharpton went on a five-city road trip with “odd couple” buddy Newt Gingrich as well as Secretary of Education Arne Duncan to tout the Obama administration’s Race to the Top program. Sharpton’s support for the school reform cause has also yielded its earthly rewards. According to a March 2009 report by Juan Gonzalez of the New York Daily News, Sharpton’s National Action Network (NAN) received a $500,000 donation immediately following the establishment of EEP. 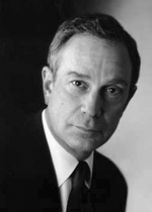 Sharpton’s benefactor: Plainfield Asset Management, a Connecticut-based hedge fund, where former schools Chancellor Harold Levy is a managing director. 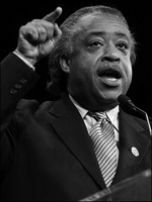 The donation came at a time Sharpton was set to pay $1 million in back taxes and penalties he and NAN owed. Sources: Forbes 2009 Fortune 400, Gates Foundation, newschools.org, The New York Times, Broad Foundation, gothamschools.org, Walton Family Foundation, Albany Times Union, Chicago Public Schools, rethinkingschools.org, wsws.org, U.S. Department of Education, Knowledge Universe, forbes.com, Ed Week, New York Sun, edwize.org, New York Daily News, ednotesonline.org.